ZEISS' 1.1-4x24 Victory HT Riflescope combines SCHOTT high transmission (HT) glass and ZEISS' T* anti-reflection full multi-coatings to provide unparalleled image brightness, clarity, contrast, and sharpness. The LotuTec protective lens coatings repel water and dust particles from the surface to allow you an unobstructed clear view in a variety of environmental conditions. Aiming is parallax-free from 109 yards, offering 0.34 MOA per click impact point correction, and 108 MOA windage and elevation adjustments with hunting turrets. The Illuminated Reticle 60 casts minimal subtension and has ultra-fine features: three thin posts, a thin crosshair, and an illuminated red brilliant center dot. The center dot features variable red illumination to accommodate your preferences and lighting conditions. The lightweight and durable aluminum alloy housing is nitrogen-filled for a waterproof and fogproof performance. 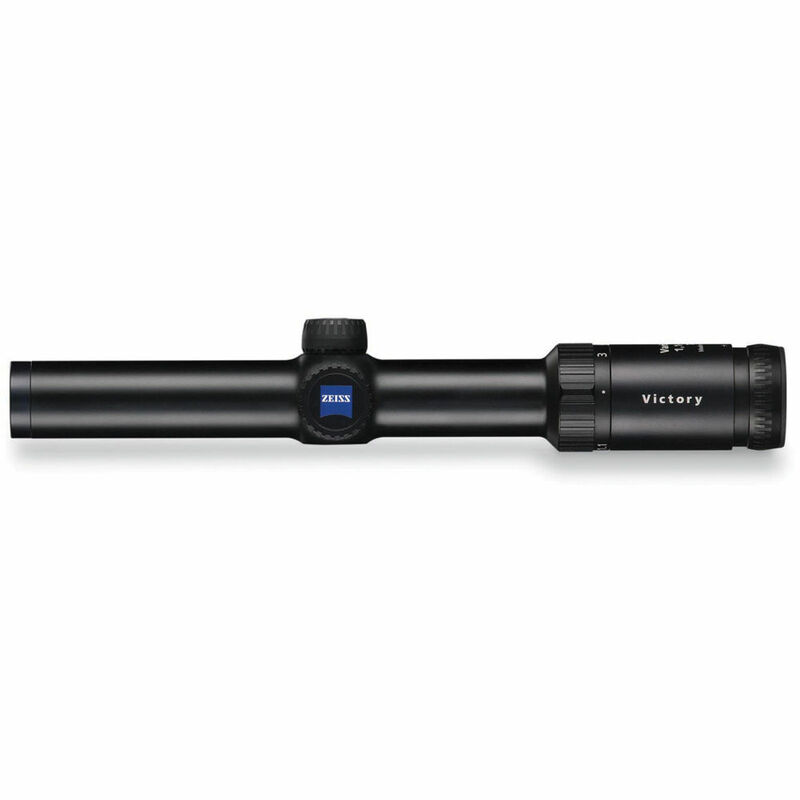 It features a 30mm maintube with anodized finish and ASV+ capped, lockable ballistic turrets. The ASV+ turrets are outfitted with a complete set of precision-engraved metal rings to offer complete flexibility in selecting cartridge compatibility. This feature allows you to compensate for bullet drop of most available loads.